Creative Cracker Toppings was posted on May 22nd, 2013 and is filed under Reviews, Snacks. This entry has 5 comments. You can follow any responses through the RSS 2.0 Comment Feed. All these travel snacks get old. We’ve been on the road for almost two weeks now, but as much as I love it…the snacking area of my life (in which I spend a considerable amount of time with) has gotten a little boring. Recently, we broke into a box of this. Triscuits. People, these are decent little crackers. I really like the sweet chilli ones…they’re good on their own, but even more amazing with a soft cheese. The crunchy bites of yum are fabulous because you can get super creative and serve them as not only snacks, but appetizers or a “snacky” side at parties. They’re a great vehicle for a lot of flavours, which is maybe why they have such a great tagline…Triscuit. Your stage is set. 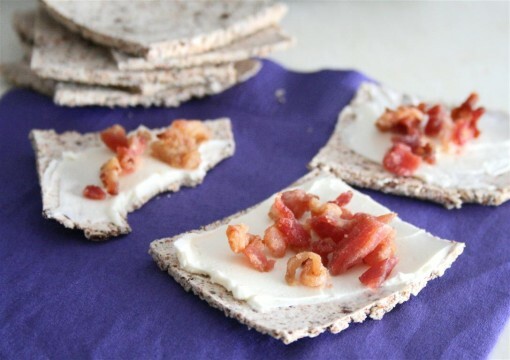 Triscuit crackers are the base for all appetizers that can be turned into showstoppers! Which, I think, are perfect for entertaining – whether for used for topping and spreading OR to eat with dips. Of course, there are some more traditional (and equally delicious cracker toppings) like PB&J, cream cheese with jam, or melted cheese. Of course, if you use different Triscuit flavours…the ideas become more fun. From cheddar and fine herb to Parmesan garlic, there is lots of delicious-ness to choose from. Go check out their Facebook page for more entertaining ideas and more cracker love! 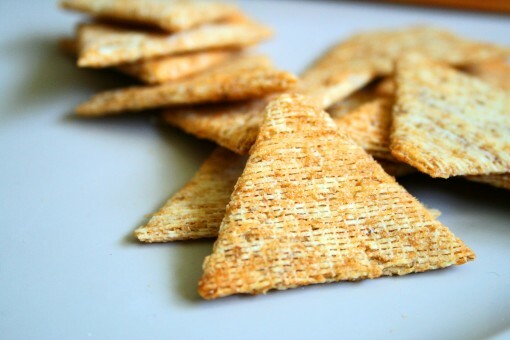 What’s your favourite Triscuit flavour? Do you have any cracker topping ideas? This post is sponsored, but I really like crackers and my opinions are my own. Hmm its so tasty .i like this alot. I love these!!! Fun and pretty entertaining ideas! Thank you Thank you Thank you. Great ideas. I am studying abroad in Brazil, and I live by myself, and instead of cooking a big meal I like to just snack a lot of times. I also like to bring crackers with accompaniments to class and on my long bus rides to class. These ideas are awesome and amazingly refreshing.